(P1) 3D PRINTING company MakerBot is LAYING OFF 20% of its staff for the second time in six months, CEO Jonathan Jaglom announced. The company let 80 staff go back in April, and now the team is at less than 400. (P2) Jaglom writes that the company has struggled to meet “ambitious goals” thanks to the “broader challenges” in the industry. (P3) Right now, according to Gartner’s annual Hype Cycle for Emerging Technologies report, 3D printing has been out of the “HYPE” stage (when everyone gets really excited about a new technology) for the last two years. But it could be another five to 10 years before the tech really CATCHES ON with consumers. So that means 3D printing is currently stuck in a “TROUGH of DISILLUSIONMENT” — a stage right after the hype for a new technology reaches its peak and consumers begin to lose interest. (P4) It’s at this point that companies in the market typically either establish their permanence or fail. (P6) After the last round of layoffs the company PIVOTED to focus on the education market, and shut down its three retail stores in New York, Boston and Connecticut. 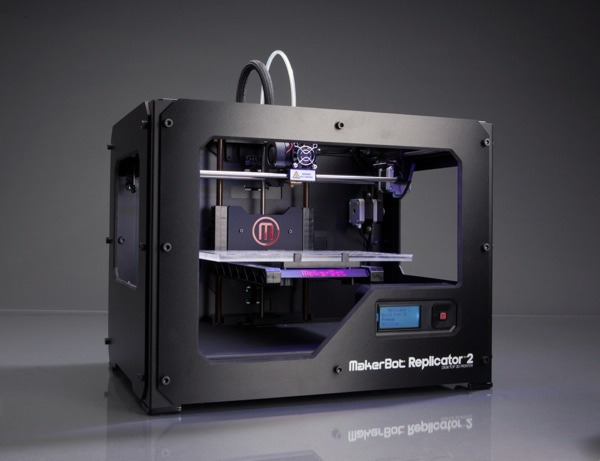 Around 5,000 schools across the US now have MakerBot printers. (P7) The company is also moving its RESEARCH AND DEVELOPMENT (R&D) staff from a manufacturing complex in Brooklyn called Industry City to its HEADQUARTERS at MetroTech in Downtown Brooklyn so the teams can work more efficiently together. But the MakerBot factory will remain in Industry City, Jaglom writes. He also hinted that the company would be OUTSOURCING the production of the next generation of its printers. (P8) Former MakerBot CEO Bre Prettis STEPPED DOWN in September last year, and was initially replaced by Jenny Lawton. But after a few months Jaglom took over. Do you get excited by new tech devices, or is it all pretty HO-HUM by now? Why doesn’t hype lead to immediate success? One problem with hype is making new technologies sound more advanced than they are, when in fact devices still have a lot of BUGS. Have you RUN INTO difficulties with using new technologies? Do you think that 3D printing is HERE TO STAY? The EBOOK subscription service Oyster just SHUT DOWN, but its managers also said that the future of their industry is bright. When companies are going out of business and making MASSIVE lay-offs, is this “future is bright” language CREDIBLE?